President's Day is a public holiday celebrated every year on the 3rd Monday in February. The observed federal holiday is actually called George Washington's Birthday. Certain states, however, list the holiday as Presidents' Day. 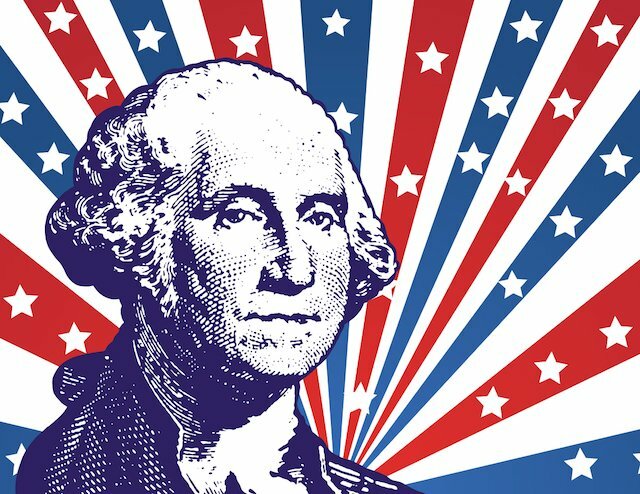 The holiday celebrates and honors the life of George Washington, the first President of the United States, which records show his birthday to be on February 22. The holiday honors all past presidents as well. This year it will be on Monday February 18, 2019. Federal government offices are closed on President's Day. Businesses and stores remain open, specially stores as this is quite a big weekend for excellent sales. 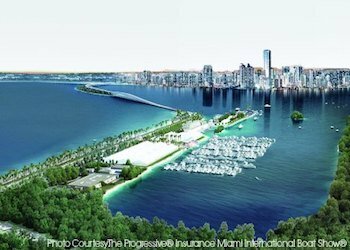 The 2019 President's Day weekend in Miami is a busy one with some fantastic outdoor annual events happening over the long weekend and a great chance to take advantage of our marvelous weather: the Miami Boat Show will be taking place in Virginia Key, the Coconut Grove Art Festival is another favorite and Art Wynwood in its new location by the water in downtown Miami. For nature lovers, a visit to the Everglades is in order as this is one of the best times for wildlife viewing. Bird-watchers and photographers will be in their element. Here's what's happening this Labor Day in Miami as well as some popular see's and do's to take advantage of the long weekend! 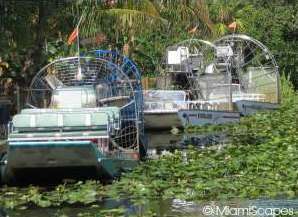 Our Everglades are teeming with wildlife, Take an Airboat Ride! Cruising Boats, Racing Boats, Sailing Boats, Catamarans, Power Boats, Mega Yachts... some serious boat eye candy all in lovely South Florida weather, definitely a "do not miss" event specially for boating enthusiasts. This is quite an impressive 5-day event which recently moved to its new spectacular home at Miami Marine Stadium in Virginia Key just across the Bay from downtown Miami and RIGHT ON THE WATER! Exactly where a Boat Show should be! Here's more on the Miami Boat Show. 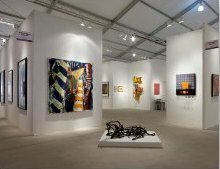 Art Wynwood, on its seventh year, is a relative newcomer to Miami's art show scene but quickly gaining recognition among contemporary art lovers, collectors and connoisseurs. Art Wynwood which has moved to a new location in Downtown Miami continues to showcase a dynamic array of works completely reflective of the original Wynwood District cutting edge and dynamic environment. Emerging talent from the contemporary art scene as well as blue chip modern masters will be featured. Where? New location at One Herald Plaza @ NE 14th Street in Downtown Miami on Biscayne Bay between the Venetian and MacArthur Causeways. Convenient with the Metromover, use the Arsht Center stop which is only a block away. Free shuttle buses will run every 30 minutes from the Marriott Marquis, and the Yacht & Brokerage Show at the Fontainebleau Hotel in Miami Beach. Here's more on the Wynwood Art District and its signature street art. Where? Streets of Coconut Grove. The Festival runs along McFarlane Road, South Bayshore Drive and Pan American Drive. 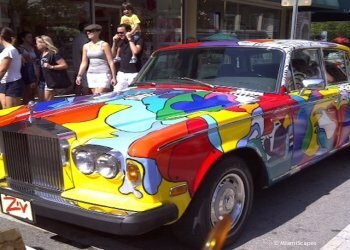 Here's more on the Coconut Grove Art Festival. Chinese New Year is the largest festival in the Asian community calendar which this year welcomes the Year of the Pig. Colorful celebrations featuring Lion Dances and Dragon Parades as well as cultural performances will take place over the traditional fifteen day holiday period all throughout South Florida. Chinese New Year Day is on February 5, 2019. Lion Dances and parades are hosted by restaurants and martial art schools throughout the city. Other festivals, spiritual activities and cultural demonstrations are sponsored throughout the first two weeks of the new year. 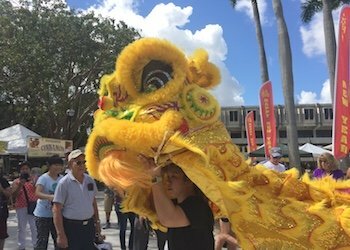 The largest celebration takes place at Miami Dade College, Kendall campus, jointly hosted by the Confucius Institute and the Chinese Cultural Foundation in Miami, normally on the Sunday following Chinese New Year's Day. What can you expect? Lion Dances, tai chi demonstrations, calligraphy, face painting, acrobatics, arts and crafts, bounce houses ans slides, and of course, lots of food and the Dragon Parade. Andrea Bocelli is the most successful classical solo artist ever and one of the best-selling artists in music history, period, with more than 80 million albums sold worldwide. 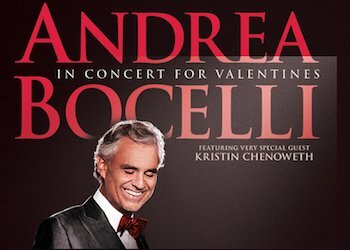 This Italian tenor is back in South Florida, this time at the AmericanAirlines Arena, with one of his signature extraordinary performances just on time for Valentine's Day. Thanks to the volcanic success of the Tony-winning musical Jersey Boys, which chronicles the life and times of Frankie and his legendary group, such classic songs as "Big Girls Don't Cry," "Walk Like a Man," "Rag Doll," and "Can't Take My Eyes Off You" are all the rage all over again. 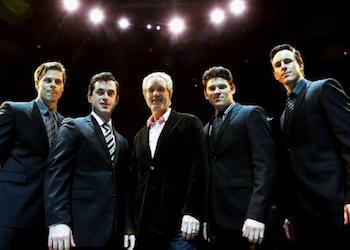 As the play enters its third sold-out year on Broadway, and two touring companies of Jersey Boys travel around the U.S., the real Frankie Valli is packing concert halls coast to coast, and is here in South Florida just in time for Valentine's Day! 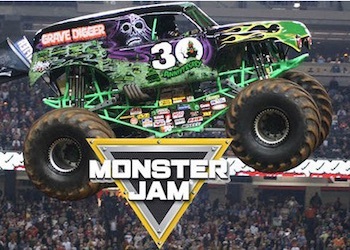 Here's a handful of fun things to do in Miami and check the offers at the bottom for some great discounts and limited-time offers. Zipping around these noisy vehicles through the vast wilderness of the Everglades is a fun adventure for everyone and a great way to explore and enjoy the wildlife that this area is loved for and this is the perfect time of the year, our "dry" season when animals concentrate in the wetlands in great numbers and are easier to spot. Alligators, turtles, all sorts of wading birds... and wonderful panoramic views of the marshes and hammocks at our beautiful "River of Grass". This President's Day Weekend, enjoy a fantastic outing in the sun, enjoying the breeze and beautiful waters of Biscayne Bay and our magical skyline. Yes, this is Miami in February! And specially with the Boat Show going on, a cruise on the bay is the perfect way to take it all in. There are many options for cruises and on special holidays, many charters will be hosting special deals and programs like buffets, brunches, barbeques, etc. 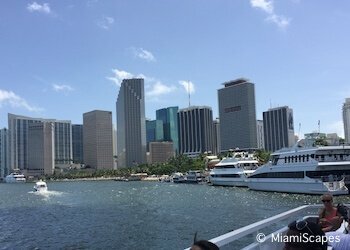 For the different types of cruises, check our Biscayne Bay Cruise options page. This IS a three-day weekend! Why not spend some time exploring our surroundings? The Florida Keys are at our doorstep and you can be there within an hour from Miami. Get out your snorkel or dive gear and head south! John Pennekamp Park in Key Largo is a fantastic destination for all sorts of water sports and outdoor activities, snorkeling, diving, kayaking... And of course, Key West, as far south as you can go, famous for wonderful sunsets, its street art scene, shops, outdoor cafes, restaurants and historic sites has also much to offer. 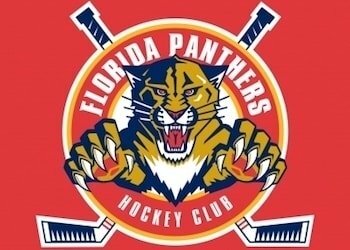 Heading north, you can stop at the Kennedy Space Center or spend a couple of days at the theme parks in Orlando. And the Bahamas are equally accesible, there are regularly scheduled ferries to bring you to the Islands.